Previously, he was unable to cultivate no matter how hard he tried, but now, with the “Supreme Chaotic Yuan Technique”, there was no such restrictions. Furthermore, that cultivation technique was not your average normal technique. It helped in all fields of cultivation. Su Yi now had to make plans for his future. He could not go back to his past life and for this life, he could no longer sit back, do nothing and just rot away. Su Yi was deep in thought. Since he had reincarnated into this world, even if he could not rule everything under the heavens, he must at least be able to blaze a trail and rule a part of it. Dusk, the sun went down in the west, bringing away with it the last signs of any light. The sparring matches between the younger generations of the Su Family had finally come to a close. Following Su Yi’s departure from the Demonstration Ground, the next few matches were unable to ignite a fire in the hearts of the spectators anymore. Everyone was talking about Su Yi and were still deep in shock. No one had imagined that after 3 years, Su Yi would return to the family in such a manner. Abusing Su Jiao, winning Su Wei with one punch, the news had already spread like wildfire in the entire Su Estate, shocking one and all. “This Young Master is still the Young Master from 3 years ago. No one dares to provoke him!” Someone mumbled in his heart with fear. Not long after, a wave of change had crashed over the Su Family. The leader of the Su Family’s guards, Su Bai Han, personally acted. With the fury of thunder, he crippled the cultivation of multiple guards and then kicked them out of the estate. People whispered to each other. Something in the Su Family seemed to be changing now. And regarding the storm in the Su Estate, Su Yi didn’t care a bit. After accompanying Wan Er in tidying up the yard, Su Yi returned to his own room. He sat down and crossed his legs on his bed. Su Yi had long since accepted the reality of this world. This world was completely different from the world in his previous life. How vast was this world, Su Yi still did not know. But what he knew was that the martial way prospered in this world and cultivation was the most important factor in life. In this world, not only humans could cultivate, beasts could cultivate as well. There were quite a few other unique beings which could also cultivate. Whether or not it was beasts or other unique beings, when they have cultivated to a certain extent, they would be called a demon. This world was not ruled entirely by humans. There were many rumors that in many other places, there were endless open lands. Those were the paradises for the demons and were entirely controlled by them. He had also heard that the strong cultivators in the Yuan Void Realm and Yuan Emperor Realm could move mountains and overturn seas as easily as flipping a hand and could fight with the demons who were strong without comparison. And above the Yuan Emperor Realm, rumors have it that there were still the Yuan Zong Realm and the Yuan Territory Realm, but those were all just rumors. This world was much more complex and vast than the previous. For the sake of his life not being another plain and average one, Su Yi pondered. He must become one of the strongest and work hard to raise his cultivation level. And the first step would be to participate in the Sacred Mountain’s selection test tomorrow. If he was able to enter the Sacred Mountain, it should be a huge help to his cultivation. But according to what Su Yi knew, the City of Man was part of the Tian Man Continent and was only at a desolate corner of the land. Sacred Mountain was one of the ten biggest powers. One Mountain, Two Religions, Three Sect and Four Schools, these places were heaven for all cultivators. Su Yi contemplated. If he was able to enter the Sacred Mountain, the chances of becoming strong would definitely increase greatly. This was like a National Higher Education Entrance Examination. If he was able to enter those famous schools, his chances of success in the future would increase by quite a bit. A moment later, Su Yi took a deep breath. 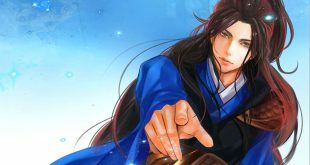 He started forming his Hand Seals and using the “Supreme Chaotic Yuan Technique”, the Yuan Qi in his body started flowing. He did not know how the Sacred Mountain would conduct their test. Su Yi could only prepare for all scenarios. As he used the technique, a moment later, Su Yi entered a trance in which he would be oblivious to everything. A faint light flowed in his body covering his entire self, emanating an endless amount of aura. The Spiritual Energy around him started flowing. Some of them which could usually not be seen by the naked eye started surging into Su Yi’s body. Now, inside of Su Yi’s body, Yuan Qi was surging through his wide Meridians, finally converging at the whirlpool in the Qi Ocean in his Dantian, causing his Qi Ocean to be filled with more and more Yuan Qi. Not knowing from when, inside the Qi Ocean of Su Yi’s Dantian, there were faint rumbles resonating. The waves of sonorous sounds were like the rumbles of thunder and wind or the roars of dragons, cries of a phoenix. It was an extremely fearsome pressure and aura inside the Dantian. But all of this could not be seen by anyone. Night descended upon the city silently like a huge grey net. The faint blue sky was dotted with countless tiny stars. Due to there being visitors from the Sacred Mountain, even after nightfall, the city was still as boisterous as ever. The news of Su Yi defeating Su Wei also spread through the city like it had gained wings. The news was like a bomb, creating an upheaval in the city. Most could not believe what they had heard. Liu Family. Liu Zong Yuan who had just passed 40 stood in his study. On his face which one could tell during its youth was fine and handsome, the eyes looked deep like he was pondering about something, slowly pacing back and forth. In the study, there was a man around 50 years old. His eyes slightly red showing the ample worries in his heart. Liu Zong Yuan stopped moving. He looked at the old man and asked. His bright eyes in the dark room seemed like stars sparkling in the midnight sky. The old man said confidently. That news would naturally be correct. It was known from inside the Su Family and now it was also a secret no more. “Is it possible that in the Forest of Demons during the past 3 years, that brat had gotten some sort of miracle?” The old man said, deep in thought. “There’s also that possibility. Being able to return from the Forest of Demons after 3 years has already surprised me!” Liu Zong Yuan said, somewhat surprised. The old man was concerned. Back then Liu Family had made an arrangement with the Old Master of the Su Family. If Su Yi was able to complete his Foundation Building Stage after 3 years, then Liu Ruoxi would be engaged to Su Yi. But now the situation was different. The Young Lady’s position at Sacred Mountain was not normal. Without considering whether or not the Liu Family will agree to this, if the people at Sacred Mountain knew about this, they would never agree to the engagement.